Have you put your 2 cents worth in yet? Well, you probably should! Well, just keep this goal up or find new funding and job! If Hunters an't happy, no one be happy! Roughly half a million Minnesota citizens hunt deer each year and countless others enjoy seeing deer. 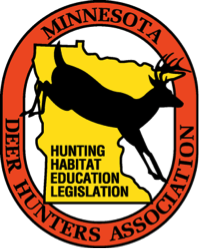 Deer hunting generates nearly $500 million annually in total economic activity to the state, and the habitats that sustain deer, sustain Minnesota’s $14 billion dollar a year outdoor recreation economy. I read the whole thing and took the survey. Lots of stuff in the plan. Now we wait and see if anything comes of it. I am somewhat hopeful. I especially like the plan to have meetings with local wildlife managers.